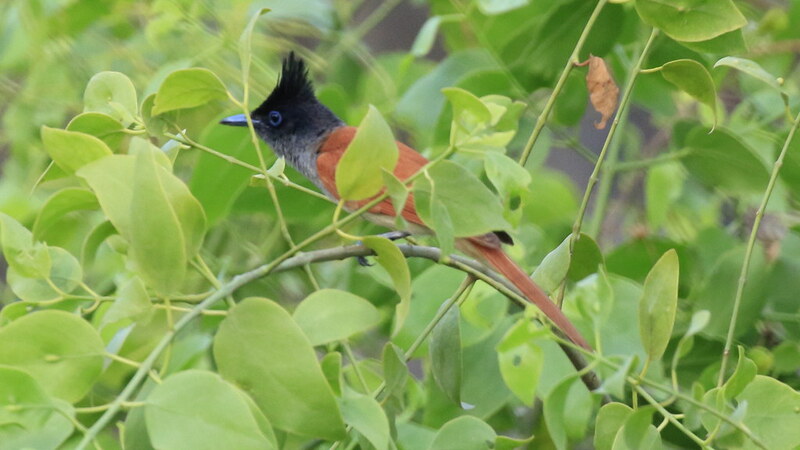 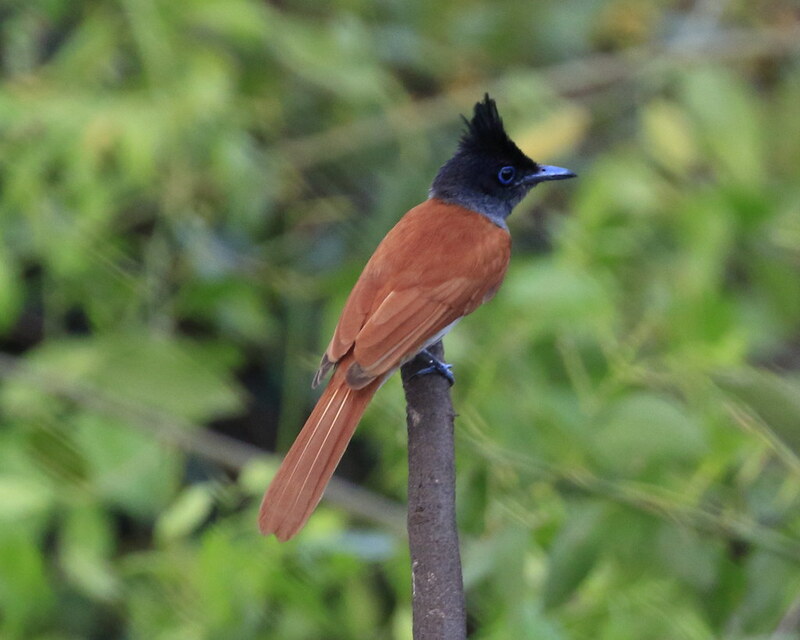 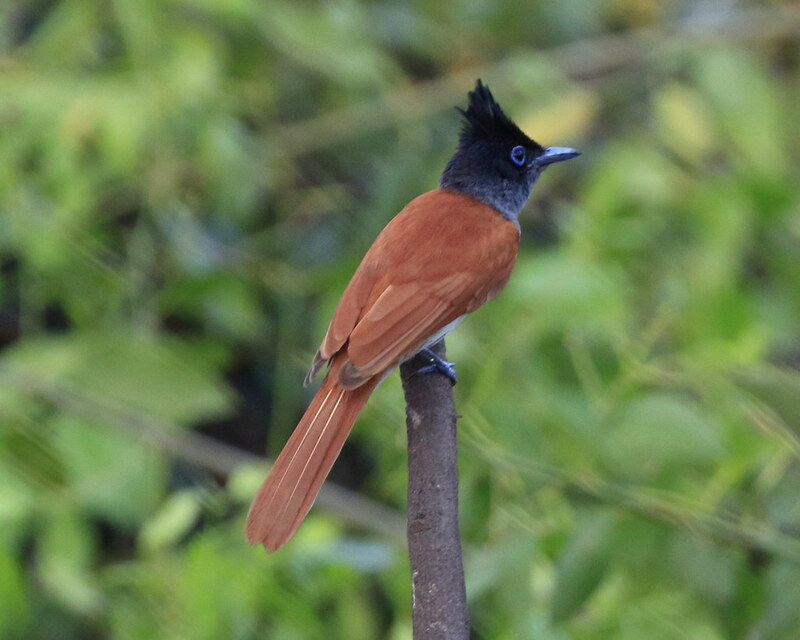 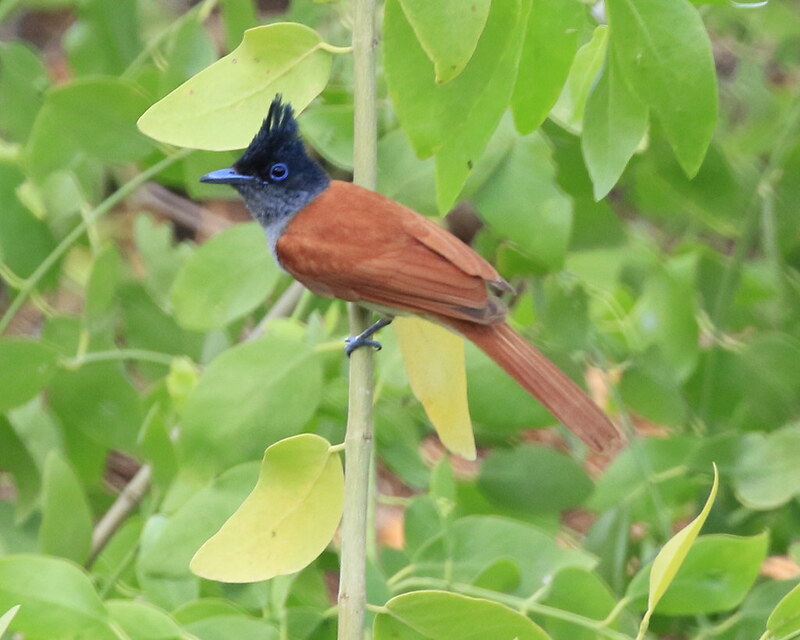 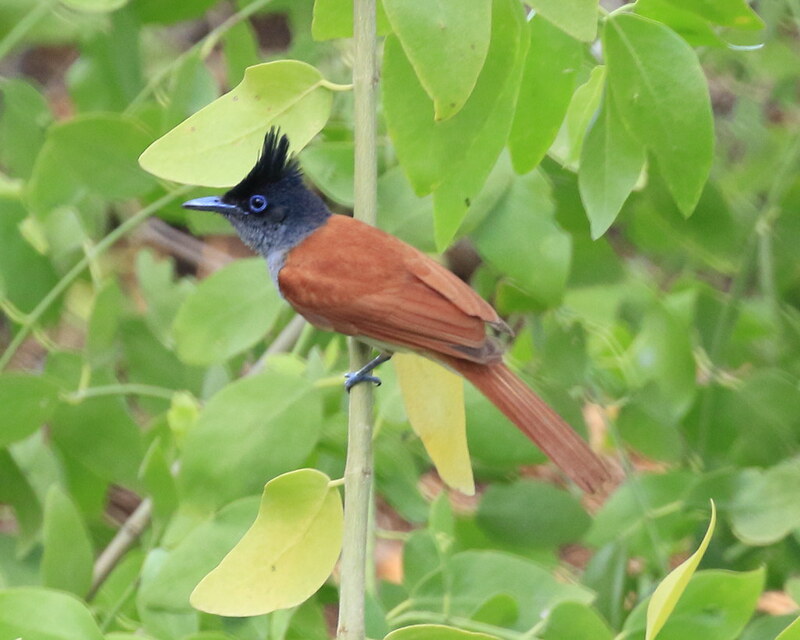 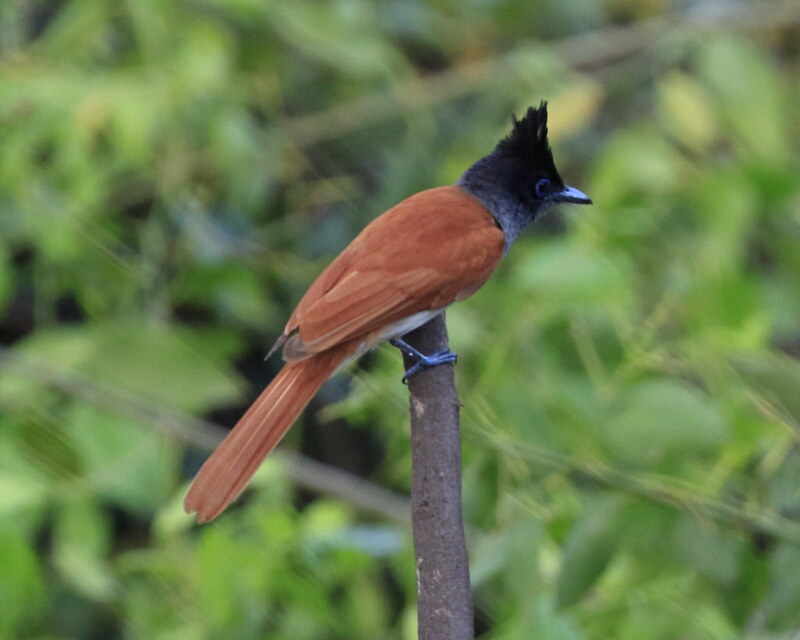 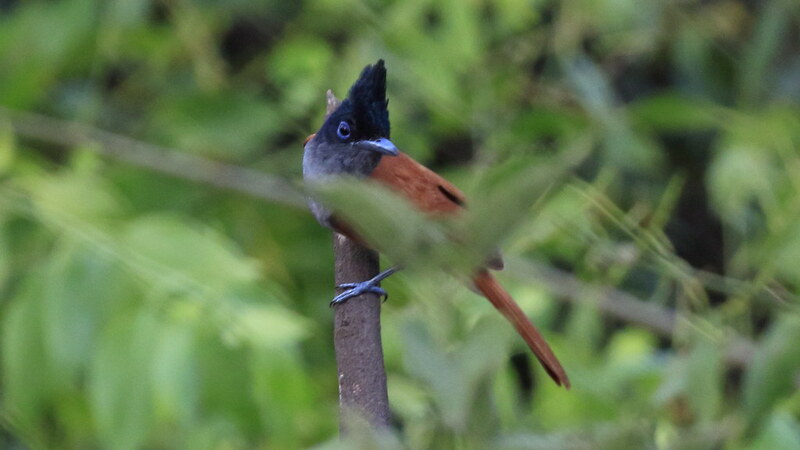 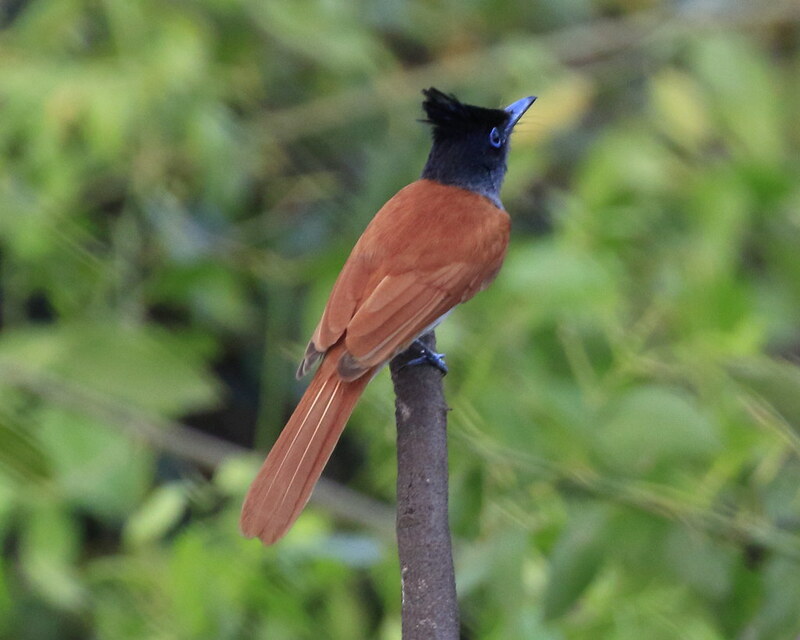 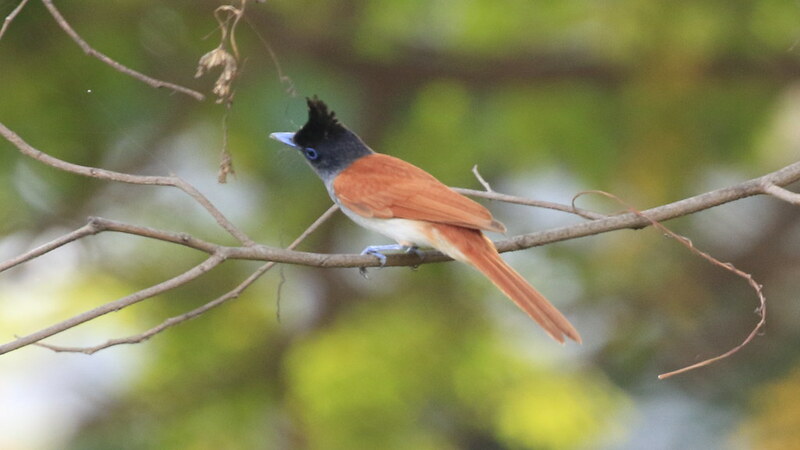 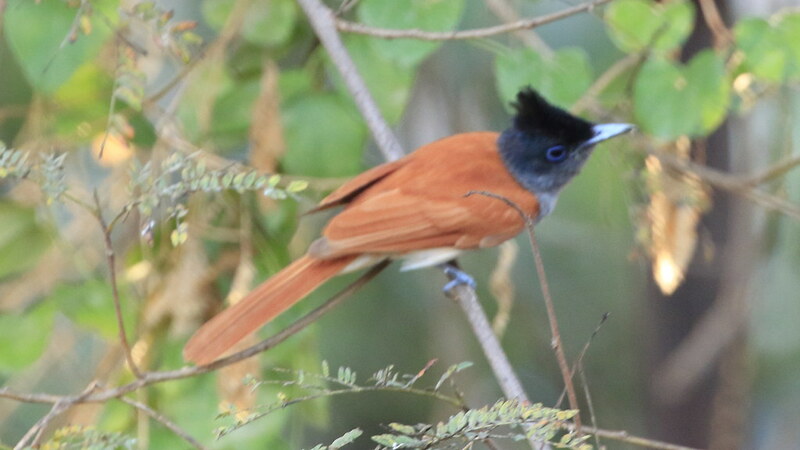 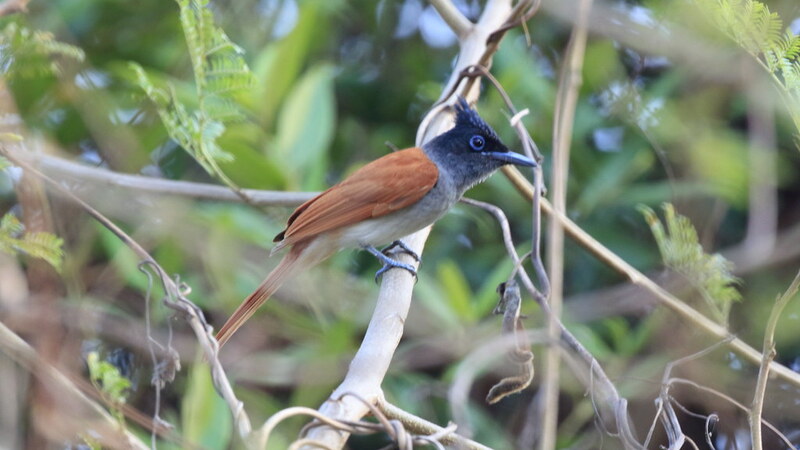 Identification: Adult Indian paradise flycatchers are 19–22 cm (7.5–8.7 in) long. Their heads are glossy black with a black crown and crest, their black bill round and sturdy, their eyes black. 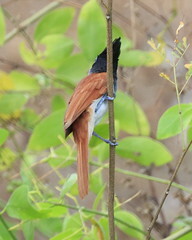 Female are rufous on the back with a greyish throat and underparts. Their wings are 86–92 mm (3.4–3.6 in) long. 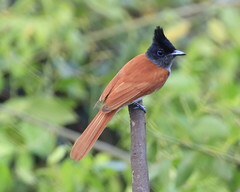 Young males look very much like females but have a black throat and blue-ringed eyes. 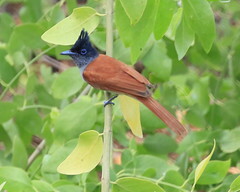 As adults they develop up to 24 cm (9.4 in) long tail feathers with two central tail feathers growing up to 30 cm (12 in) long drooping streamers. Young males are rufous and have short tails. 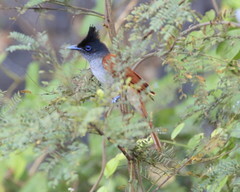 They acquire long tails in their second or third year. Adult males are either predominantly bright rufous above or predominantly white. Some specimens show some degree of intermediacy between rufous and white. 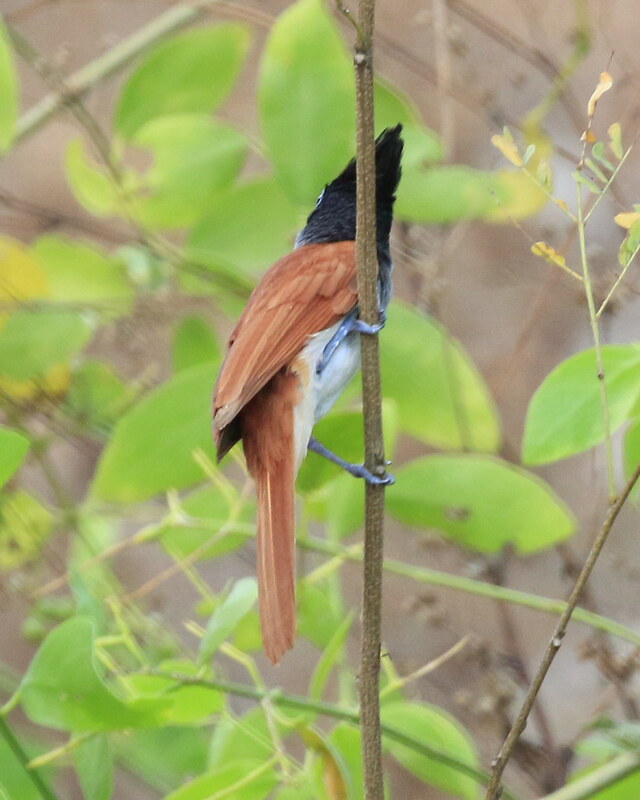 Long-tailed rufous birds are generally devoid of shaft streaks on the wing and tail feathers, while in white birds the shaft streaks, and sometimes the edges of the wing and tail feathers are black.